If you have an Android smartphone then, from today, you can browse sample images from the Careimages library on your phone. The free app is now available from the Android Market. Use this link or point your phone’s camera at the qrcode* shown here. At the moment you can’t login to our site from the app, but you can save favourites on your phone. When browsing through random images, the images selected will be picked to automatically fit the orientation that you hold your phone in. Want to see landscape images? Hold your phone sideways and swipe through the few images currently in the cache until the app fetches some more. Note that this feature requires your phone to have an orientation sensor (most do). We welcome any feedback on the app, either to us directly or via the market. * What are qrcodes? They are a form of barcode that smartphones can read easily using their camera and a suitable application. For more information on qrcodes, follow this link. A suitable android app for processing qrcodes is this one. 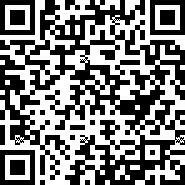 If you want to generate qrcodes yourself, here’s a page that does that.